Das digitale Doppel-Diaporama zeigt Bilder von den Eisbergen Ilulissats und einem eigenartigen Phänomen, welches sich jährlich am Russel-Gletscher bei Kangerlussuaq abspielt. The Arctic - timeless space. The final frontier, far away from civilization - where nature creates miraculous structures of ice. 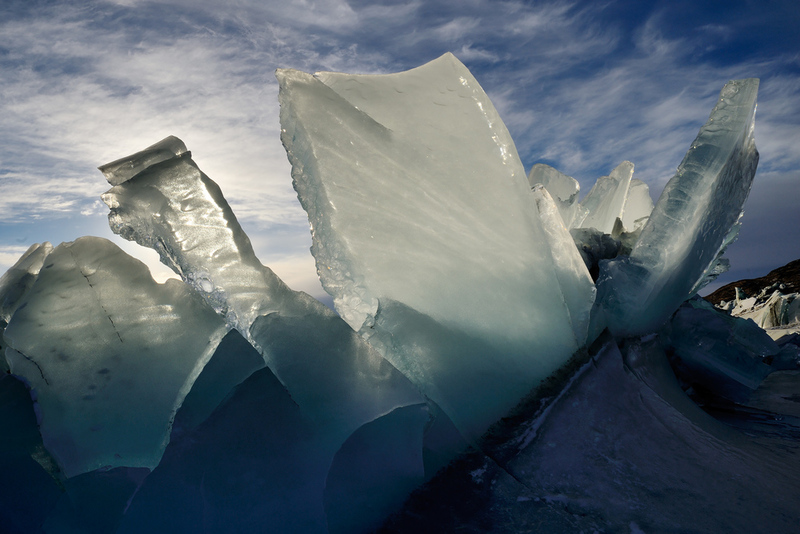 Water compressed in the Greenlandic icecap thousands of years ago, is breaking away from the edges and reveals itself in unexpected and stunning shapes. This digital double diaporama shows images of the Ilulissat icebergs and a strange phenomenon which happens each winter at the Russel Glacier near Kangerlussuaq.